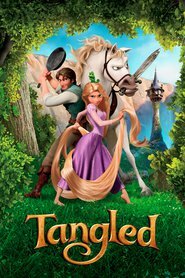 Grew Up… high above the forest in a remote tower, completely alone except for Mother Gothel and her pet chameleon, Pascal. Rapunzel has never been allowed to leave her tower, and so all she knows of the world is what she has been able to gather from the view outside her window. Visiting… the Kingdom of Corona with Flynn Rider, her difficult travel companion. After years of watching the festival of lights from her tower, she is finally making the exciting and terrifying journey to see the floating lights up close. Interests… art, astronomy, and adventure. After eighteen years alone in her tower, Rapunzel has taught herself (and perfected) everything from painting to cooking to science. But what she loves most is the idea of exploring the world for herself, rather than creating her own inside of the thick stone walls. Relationship Status… single. Rapunzel has never met another human before (other than Mother Gothel), let alone someone who is boyfriend material. She dreams of experiencing the world and everything in it, including love. But for now, she’s stuck running away from Mother Gothel with Flynn. Challenge… travelling to the festival of lights without being caught by Mother Gothel. 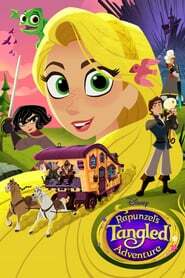 The forest between her tower and the kingdom is more dangerous and difficult than Rapunzel expected, and her travelling companion, Flynn, isn’t always helpful. Personality… brave, clever, and upbeat. Rapunzel refuses to let her fears hold her back, and she is constantly moving forward. She’s sweet and makes friends wherever she goes – even Flynn can’t help being charmed by her, though he tries not to let it show. Rapunzel's popularity ranking on CharacTour is #620 out of 5,000+ characters. See our top-ranked characters and read their profiles.